Breyers Host ASM Course for Motorcycle Community | Phoenix Personal Injury Law Blog - Breyer Law Offices, P.C. 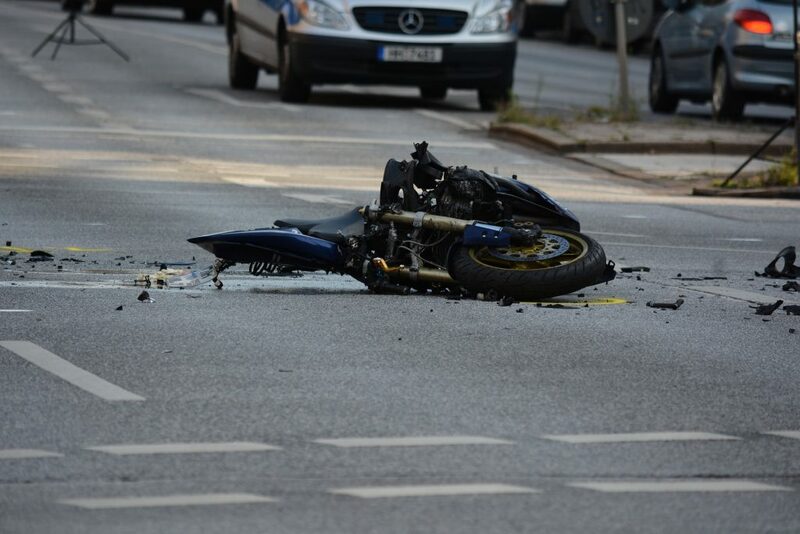 blog home Motorcycle Accident Do You Know How to Manage a Motorcycle Accident Scene? 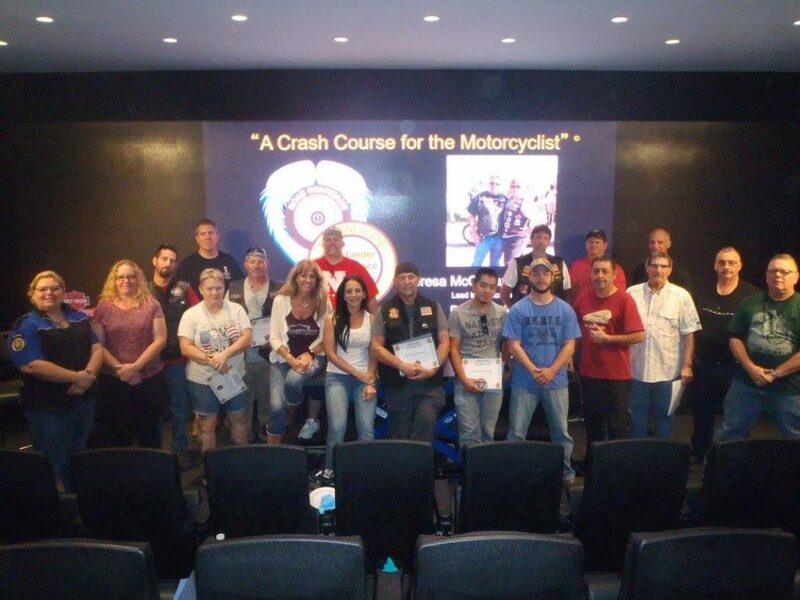 On September 16th, The Husband and Wife Law Team of Breyer Law Offices, P.C., sponsored an Accident Scene Management (ASM) Class at Harley-Davidson of Scottsdale. They also hosted Basic, Advanced, and Instructor Courses on October 6th, 7th, and 8th at Grand Canyon Harley-Davidson. In the event of a motorcycle accident, these courses teach the basics of what to do in the vital first 5–30 minutes until help arrives. PACT method (Prevent further injury, Assess the situation, Contact EMS, Treat the injured). The technique recommended by the American Academy of Orthopedic Surgeons to remove a full-face helmet. How to open a non-responsive victim’s airway using the jaw thrust method. 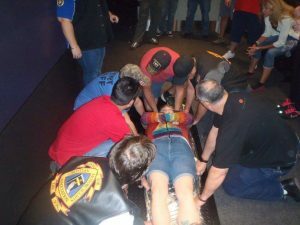 Moving the victim with proper spinal cord immobilization (“holding c-spine”). At the end of this intense, all-day course, attendees received a certificate of completion, a patch, and special gift from the Breyers! Because the first response to a motorcycle accident is often critical, the more people who know how to attend to a wounded rider, the better! This training is also very useful when riding in groups, in the event that a fellow motorcyclist is injured in an accident. This class had 17 attendees from various groups, including Ladies of Harley, Scottsdale HOG chapter, Chandler HOG, BACA, and others. During the complimentary lunch provided by the Breyers, the group spent time touring the dealership and seeing all the amenities the building has to offer. Also on September 16th, Harley-Davidson of Scottsdale hosted a kickoff fundraiser for Phoenix Wounded Vets Run. Their annual ride is scheduled for March 10th, 2018. The event included a bike and car show, with trophies for the winners and live music. The guys roasted a pig and sold hats, T-shirts, and other merchandise to help raise awareness and funds for an upcoming honoree. Wish you could learn how to step up and assist at the scene of an accident? Go to this website to find out when and where the next Accident Scene Management class will be held! Why Does The Husband and Wife Law Team Sponsor ASM? Mark and Alexis Breyer have been practicing personal injury law in Arizona since 1996, and they are dedicated to supporting the Arizona motorcycle community. Mark and Alexis have authored The Arizona Motorcycle Accident Book as a resource for riders, which is available for free as a physical book! Just send a request here. The Husband and Wife Law Team is committed to delivering an exceptional experience to their clients by passionately pursuing their clients’ best outcome. If you or a loved one ever needs legal assistance, remember we are here to help! Call us at (602) 267-1280 with any questions.